This year marks two decades since the Individual Savings Account (ISA) was launched on 6 April 1999, enabling you to earn tax-free returns* on your savings and investments. 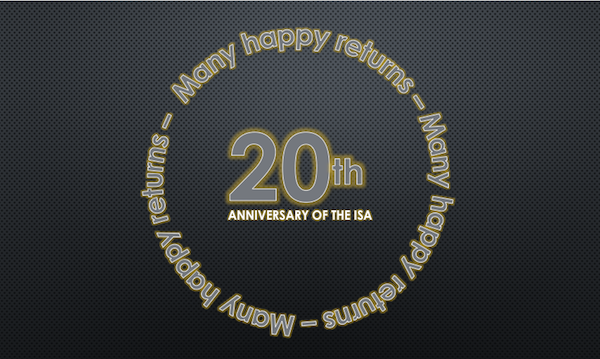 To celebrate its 20th birthday, LendingCrowd presents 20 top facts about the ISA. You can contribute up to £20,000 to an ISA (or ISAs) this tax year. That compares with the original ISA allowance of £7,000, introduced in 1999. If you don’t use your full £20,000 ISA allowance, you can’t carry any over into the new tax year. This really is a case of use it or lose it. There are four main types of ISA – Cash, Stocks & Shares, Lifetime and Innovative Finance. Children under the age 18 can have a Junior ISA. According to personal finance data provider Moneyfacts, no instant-access Cash ISA currently pays more than the rate of inflation. This means that money held in these accounts is actually falling in value because of the rising cost of living. The Innovative Finance ISA was launched on 6 April 2016, enabling investors to earn tax-free returns by lending to businesses through regulated fintech platforms such as LendingCrowd. LendingCrowd’s Growth ISA was one of the first Innovative Finance ISAs to be launched and targets a return of 6%** a year – almost three times the current rate of inflation. Capital at risk. LendingCrowd and its products are not covered by the Financial Services Compensation Scheme. You can have more than one ISA, but you can only contribute money to one of each kind during the same tax year. To open an ISA, you must be resident in the UK. If you live overseas, you can only open an ISA if you’re a Crown employee (such as a civil servant or member of the armed forces) or their partner. If your ISA is ‘flexible’, you can withdraw money and put it back during the same tax year without reducing your annual allowance. LendingCrowd’s Innovative Finance ISA is flexible. You can move funds held in an ISA from one provider to another if they accept transfers – not all providers do, so make sure to check. LendingCrowd is happy to accept ISA transfers, subject to a minimum transfer value of £1,000. You can transfer funds to a different type of ISA, for example from a Cash or Stocks & Shares ISA to an Innovative Finance ISA. Please note that if you transfer from a Lifetime ISA to a different type of ISA before the age of 60, you’ll have to pay a government withdrawal charge of 25%. If you want to transfer an ISA, contact the provider you want to switch to and fill out their transfer form. It’s important to follow the correct ISA transfer process. If you withdraw your money instead, you’ll lose its tax benefits. If you had built up savings of more than £20,000 over several years, you wouldn’t be able to put it all in a new ISA because of the annual contribution limit. You can make either full or partial withdrawals from ISAs opened in previous tax years, and full transfers from ISAs opened in the current tax year. It’s easy to transfer existing Cash, Stocks & Shares and Innovative Finance ISAs to us. Remember that the minimum transfer value we accept is £1,000. LendingCrowd offers three investing options – Growth, Income and Self Select – all of which can be held within the same Innovative Finance ISA wrapper for tax-free returns. To transfer your ISA to us, first open your LendingCrowd account online – this takes less than a minute. Then send us your completed transfer form and we’ll take care of the rest. The ISA transfer process normally takes between 15 and 30 days, depending on the type of ISA you’re transferring to us. More than 36% of our ISA investors have transferred their savings and investments to LendingCrowd from another provider. You can’t have a joint ISA. After all, the ‘I’ in ISA stands for ‘Individual’. **Capital at risk. Target rate is variable, net of ongoing repayment fees and bad debt.